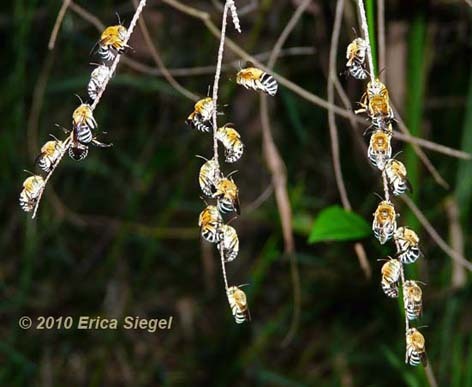 Above: twenty four blue banded bees (Amegilla) jostling for the best roosting positions on some dry stems in the evening. 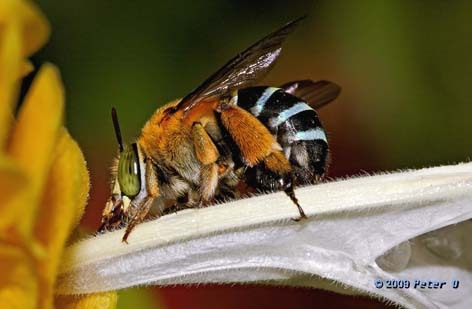 Above: a delightful photograph of a blue banded bee sipping some nectar from a flower. 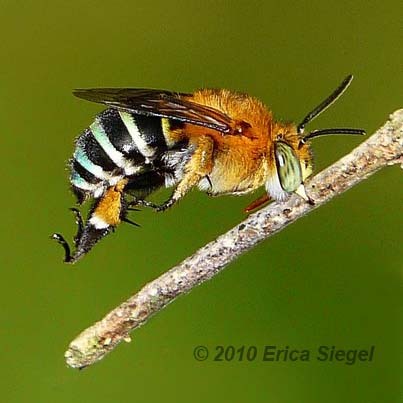 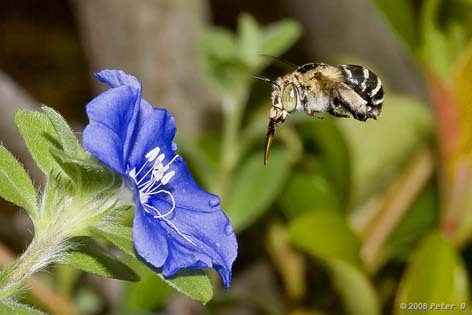 Above: a blue banded bee (Amegilla) with her long tongue extended to search for nectar.